Gamers looking for a new battle royale game to try their hand at will want to grab the recently announced Apex Legends game. The game is available to play right now after being announced recently by Respawn. Apex Legends is a Titanfall spinoff game. Legends is a free-to-play title, as most post Fortnite games are. 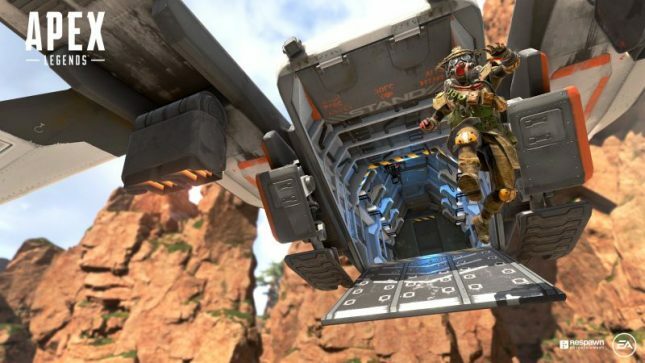 Kotaku reports that players can think of Apex Legends as a cross between Overwatch and CoD Blackout. The game is available for PS4, Xbox, and PC gamers. Respawn has made fans sad with its announcement that Titanfall 3 isn’t in the works. However, the publisher is working on other games. One of those other games is set in the Star Wars universe. Star Wars: Jedi Fallen Order is set to launch this fall. If you want to see what Apex Legends is like before downloading it, check out the gameplay video above.